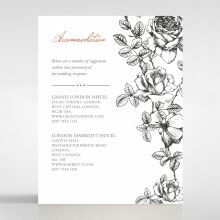 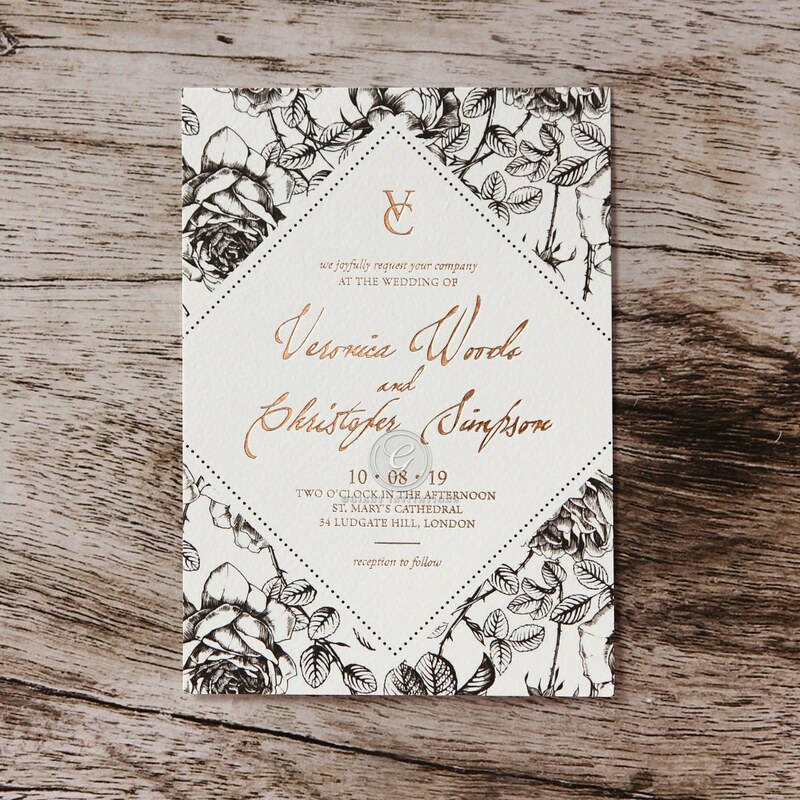 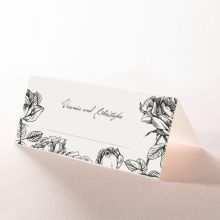 Reminiscent of a lovely English rose, this invitation is perfect for announcing your vintage themed or garden party. 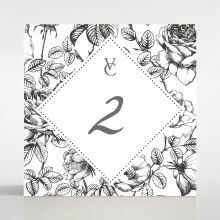 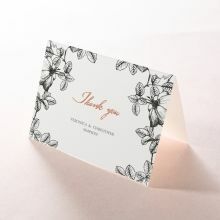 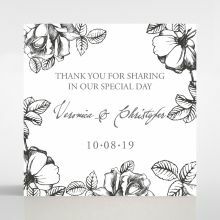 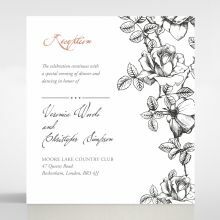 A triangular block holds the details of the magical evening you have in store, printed in beautiful hot foil stamping and with a prestigious monogram at the very top. 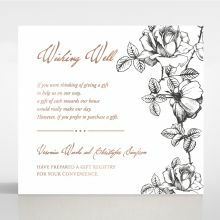 Surrounding this is a floral garden with lovely roses and leaves that have are charmingly worn out. 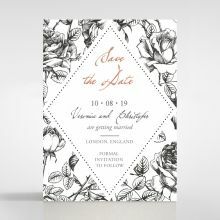 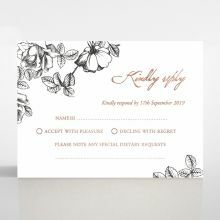 Choose between a matte or smooth textured finish and have our designers print your unique wedding information in a stunning hot foiled print, available in silver, bronze, yellow and rose gold. 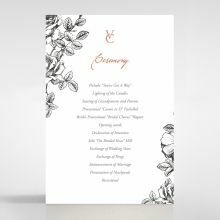 Carry on your charming theme throughout a matching accessory suite including RSVP, Wishing Well and Thank You Cards.